Welcome back to the Magic Kingdom! Today, we’ll explore Fantasyland. As I’m sure you all know, the Magic Kingdom recently expanded Fantasyland to include some really cool stuff. Unfortunately, that meant they had to shut down their version of Mickey’s Toontown. Let’s start with a tour of Cinderella’s Castle. After all, you can’t help but notice it. This was from 5 years ago, but I found it interesting. If you’re into the details a Disney theme park offers, you will enjoy this video as well. Back in the Year of a Million Dreams, the Imagineers finished the planned dream suite inside of Cinderella’s Castle at the Magic Kingdom. I’m sure that if you are like me, you’ve always wanted to stay in the dream suite. Here is part 1 of the tour that is given to those lucky people who get to stay here! It may be as close to staying in the Dream Suite as we will get. Of course, on the virtual tours, we can’t cut any experience short. So, here is part 2. I love all the details and how they have found a way of making the era of Cinderella work with modern amenities. After going on the tour, don’t you want to stay one night? The experience that you can do, if you book far enough in advance, is to dine at Cinderella’s Castle. Brooke and I did the breakfast at Cinderella’s Castle. It was so much fun. I know the experience is way more geared towards children. At Walt Disney World, aren’t we all kids at heart? I think so. Off to the right side is Princess Fairytale Hall where you can meet various princesses. I love this video because it gives you a lot of the details from inside and out. On this video we get to meet Cinderella and Princess Aurora. The first video from the Princess Fairytale Hall was filmed before Frozen. The success and popularity of Elsa and Anna cannot be missed. They have taken up residence here. The popularity of this meet n greet has caused quite the stir. The Magic Kingdom even re-wrote their policies regarding the rope drop because of the chaos that ensued once Elsa and Anna took their place here. FastPasses to meet Elsa and Anna are hugely popular. Thankfully, we don’t have to wait in long lines on a virtual tour. Straight ahead after making our way through Cinderella’s Castle, you’ll come to Prince Charming Regal Carousel. There’s not a whole lot to this attraction. However, if you like riding carousel’s you should take a spin. In front of the carousel, they have the Royal Magesty Makers Sword in the Stone Ceremony. Do you have what it takes to pull the sword out of the stone? Watch as these volunteers make their attempts. If you head to the left, you’ll next come to Mickey’s Philharmagic. I love this show! It would be awesome to me if they decided to take this 3-D movie out west. Thanks to the wonders of technology, I can experience Mickey’s Philharmagic any time I want to. This is such a fun movie. Of course, nothing beats actually being in the theater and watching it in 3-D. Continuing around, we come to Peter Pan’s Flight. Another Fantasyland classic attraction. I couldn’t find a night vision video of this attraction like I did at Disneyland. So, I hope you enjoy it anyways. Across from Peter Pan’s Flight is It’s a Small World. It’s not as glamorous as the one at Disneyland. However, who could resist the chance to take in this classic attraction and sing along with that famous song. Gotta love the Many Adventures of Winnie the Pooh. At the Magic Kingdom, this attraction is in Fantasyland. You’ll notice that Fantasyland isn’t the best place for thrill seekers. However, what they lack in thrills, they make up for with great dark rides that tell great stories. Next up, we’ll take a spin at the Mad Tea Party. I don’t do spinning attractions. However, my wife loves this attraction. If you love to spin, this attraction is one for you. So much fun and so simple! Next up we’ll head on up and fly with Dumbo the Flying Elephant. Thanks to the remodel of Fantasyland, there is now dueling Dumbo’s. The queue area is so much fun! After flying Dumbo, you’ve got to fly with Goofy on the Barnstormer. Right? This is a fun little coaster. I’ve got to admit, it looks more interesting than Goofy’s Flight School at Disney California Adventure. It looks like the perfect first coaster for the kiddos. Need to cool off on one of those warm Florida days? Well the Casey Jr. Splash ‘N’ Soak is where you need to be. Well, it may be more fun for the kiddos. However, if you’re in the need to cool off, this place looks perfect. Okay, Peete’s Silly Side Show is one of the more fun meet n greets with the Disney characters at Walt Disney World. I love the themeing in this place. It’s so much fun! What’s awesome about going here virtually is that we don’t have to wait in the long lines you’ll find when you visit in person. This video is also so much fun that I had to use it. We’ll move from one meet n greet to another. Let’s check out Ariel’s Grotto. Of course, this isn’t the Disney California Adventure restaurant with the same name. This is where you can meet Ariel herself. They do have fast passes for this meet n greet if you so choose. This stop marks our first in the New Fantasyland. As you can see in this video alone, the Imagineers did a fantastic job with the expansion! After meeting Ariel, we must check out her ride. Right? Under the Sea – Journey of the Little Mermaid. There is fast passes for this attraction. After experiencing this attraction with and without the fast pass, I recommend going without the fast pass. The queue line is so immersive! It really takes you under the sea. As per usual, the Walt Disney World version has the far superior queue line in comparison with its Disney California Adventure version. With this attraction, it’s not even close. The ride itself is almost a carbon copy. From the Little Mermaid, we make our way into the Beauty and the Beast part of Fantasyland. First up, a quick stop to meet Gaston and check out Gaston’s Tavern. This place has a rather limited menu. However, it can be a fun quick stop to eat something. When they opened this counter service restaurant, they had tried billing Lefou’s Brew as the equivalent to Butter Beer at the Wizarding World of Harry Potter. Nothing could be further from the truth. Lefou’s Brew is a good drink. However, it pales in comparison to Butter Beer. Of course, if you really want to dine Beauty and the Beast style, you must go to Be Our Guest. This place is hard to get a dinner reservation at. So, if you can’t get a dinner reservation, go for lunch. No reservations needed. Brooke and I ate there during Walt Disney World Marathon Weekend and loved the lunch. The theming of this restaurant is not to be missed. Spend some time wandering around and get lots of pictures. This restaurant is so picturesque. After dining at the Be Our Guest, it’s time for Enchanted Tales with Belle. Brooke and I totally enjoyed this experience when we last visited. It’s a fun little interactive show that has the guests help Belle tell the story of the day she met the Beast. Last, but certainly not least, here is the newest addition to the New Fantasyland…The Seven Dwarfs Mine Train. I love this video of it because it gives you the full experience. In a virtual trip, that’s what we like…the full experience. I love the interactive elements in the queue line! Also, welcome to the new era of animatronics. I got to see the Seven Dwarfs last fall at a Disney Research and Development workshop at WDI. These guys are pretty impressive. Well, that ends our trip through Fantasyland. As you saw, there is so much to see and do in Fantasyland. Next week, we’ll head on over to Liberty Square and Frontierland. So, join me again next Friday for our virtual Disney parks blog postings. Have a great weekend everyone! 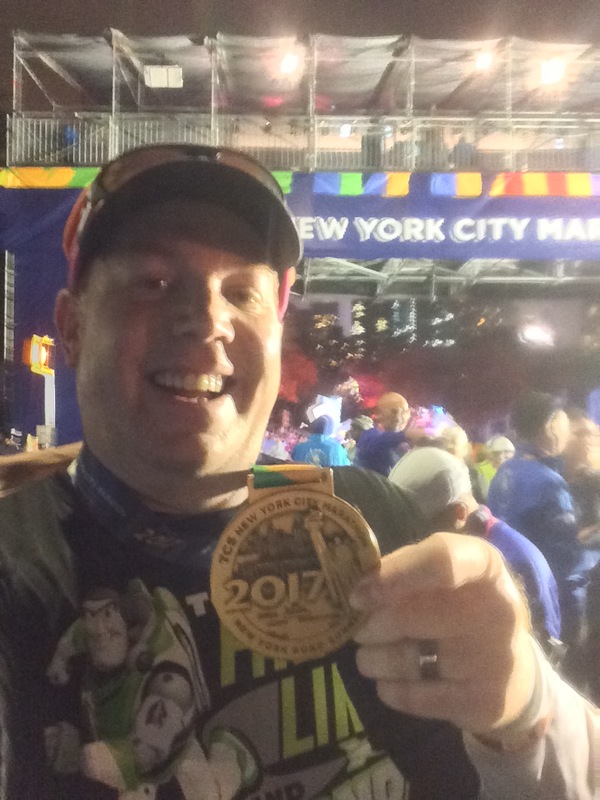 WhyIRunDisney continues the grand virtual tour of Walt Disney World’s Magic Kingdom. In this edition, we head over to Fantasyland! I love these posts-they help me get through WDW withdrawals-40 days until my wine and dine trip!